Carbs, carbohydrates. The swear words of the nutrition world. Love them or loathe them there are are great deal of opinions, philosophies and thoughts about this particular macronutrient. They even receive labels as to whether they are good carbs or bad carbs, as if they have personalities. Speak to any fitness trainer, dietitian or doctor and you are bound to receive different recommendations. High carb, low carb, no carb. It all gets rather confusing. The truth is that there may not be a right or wrong answer as such, because we are all individuals and we all respond completely differently to the amount or type of carbohydrates we consume. We all have different body composition goals; weight loss, muscle gain, the athlete or the desk worker. All of these people will have different carbohydrate requirements and each one of them will respond differently to the carbohydrates in their diet depending on their genetic make up and activity level. Whilst we cant tell you exactly what to do when it comes to your carb intake we can discuss the facts, and help you to understand the reasons for the labels. Why good carbohydrates are celebrated and promoted and while other carbohydrates are shoved into the naughty corner. NOTE: Before we explain further it is important to know that as much as it sound as though there are only two sides to this debate this is not true. We have carbs labelled as good or bad but it is not that simple. The spectrum of carbohydrates is a very long one with extremes on both sides and moderate versions of carbohydrates somewhere in the middle. The degree to which a carb is labelled as bad or good depends on the amount of processing it has been through. But again, remember this is a spectrum. Good carbs, also referred to as complex carbs or slow carbs. These carbohydrates are immediately identifiable as they still strongly resemble their natural original form. Good carbs are high in fiber and often supply us with other important nutrients. The best example of a good carb would be the humble sweet potato. It still has sand on it when you buy it in a shop and it has undergone absolutely no processing. The sweet potato can easily be placed on the ‘extremely good carb’ side of the carbohydrate spectrum. Ok so it is Unprocessed. Why Else is it a Good Carb? When we rate a carb we like to look at how it affects our blood sugar levels (and insulin response). In “sciencey” language we call this the ‘Glycemic Index‘ or GI. The glycemic index is the rating we give a particular carbohydrate in terms of how fast our bodies can digest it. In the case of the sweet potato, our body needs to digest it from scratch. The sweet potato is also full of good fiber meaning our bodies have to do a bit of work to digest the carb. As a result of this, the body ends up digesting the sweet potato slowly and the result is a slow release of glucose into our blood stream over a period of time. Therefore on the Glycemic index the sweet potato has a very low score which is great! The end result is we feel fuller for longer, we have a much higher nutrient intake and we end up having a more stable mood. Win win all around (1). On that note here are some delicious Paleo sweet potato recipes to try tonight. On the opposite end of the spectrum we have bad carbs, simple carbs or fast carbs. These carbs are generally of the processed kind. An example of this would be a processed cereal like corn flakes. Just stop for a moment and think, what did corn flakes used to be before they were processed and put into a box? The answer is corn! Yes, so we as humans decided that it would be a great idea to harvest the corn, cook it, flatten it and bake it (with all kinds of additives) and eat it breakfast cereal. So here is the problem, the corn flakes are already so highly processed that by the time it reaches our digestive systems there is hardly any work for our bodies to do.There is no fibre to slow digestion down, and no naturally found nutrients to warrant any advantage to eating the cereal (any nutrients are added artificially by the cereal company). The glucose from the cereal will be released into our body extremely quickly causing a spike in our blood sugar levels. The end result will be that within an hour we will most likely be hungry again and craving more fast carbohydrates (2,3). If we had to place the corn flakes on the glycemic index we would find them with a fairly high score, almost close to normal white sugar. Pretty shocking. Remember we spoke about the spectrum? Well let’s talk a bit about the carbs in between. For instance, fruit. Fruit is completely natural and unprocessed but it is not necessarily a good carb. In fact in some instances (depending on the fruit) we can refer to certain fruits as simple or fast carbs. Fruit like grapes are very high in sugar and are also low in fiber so they are quite high on the glycemic index. Whilst fruit like berries or strawberries are full of fiber and nutrients and low in sugar so end up being quite low on the glycemic index. This is why it is obviously best to try understand the context you are viewing a specific carbohydrate in. Bananas and grapes may be fine for someone who is cycling in a long distance race but strawberries will be better for someone who is mainly at their desk (4). Obviously at any stage it will be better to reach for fruit than a candy bar. Quite often the Paleo diet gets painted as a low carbohydrate or no carbohydrate diet. This couldn’t be further from the truth. The Paleo philosophy is underlined by a few basic principles, one of which is that nothing is eaten which would not have been available to our ancestors in the Paleolithic era. Naturally of course this excludes modern day processed (bad) carbohydrates and only includes natural, unprocessed (good) carbohydrate sources which are perhaps not traditionally viewed normally as sources of carbohydrates. 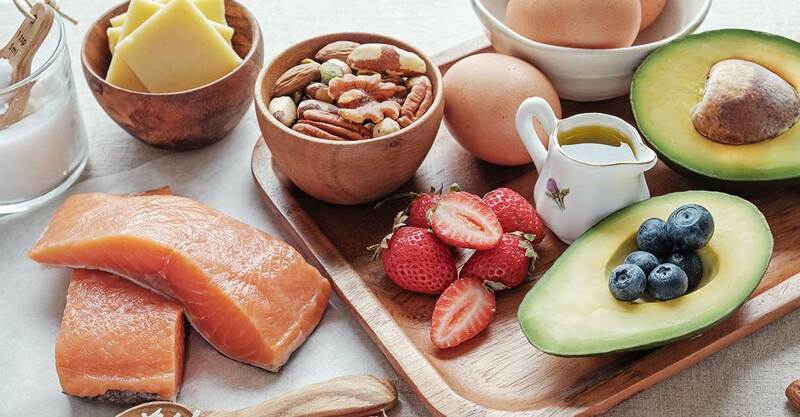 Remember that even though some unprocessed good carbs and certain fruits are allowed on the Paleo diet, if you are trying to lose weight it is best to limit these around exercise. Find the complete Paleo shopping list here!